The Hon’ble Chief Minister of Tamil Nadu today inaugurated the Resource Centre for Tribal Culture at Ooty near the Botanical Gardens. The Centre is expected to showcase the unique tribal culture of the Nilgiris which was based on mutual good will and interdependence, equal respect for each other and no violence. This exceptional culture is unparalleled in the mountain cultures of the world. However, the display of the Nilgiris culture will be incomplete if any of the indigenous Nilgiri communities, particularly the Badagas, the largest social group, are excluded. As a local cultural centre, it should not be exclusive to the Scheduled Tribes or the Primitive Tribes. It should depict the tribal culture of the Nilgiris as a whole. Originally, the Nilgiri tribes recorded were the Todas, Kotas, Badagas, Irulas and Kurumbas. There is no record of how long these tribes have been in the mountains. The first written record on these tribes was by Father Giacomo Fenicio who visited the hills in 1603. He was the author of “South Indian Religions” in Portuguese, published in 1609. During his two months stay on the hills he mentions only the Todas and Badagas. The former numbered about 300 and the latter about 500. He saw in the Badaga village “hens, goats, rice and lentils, mustered, garlic and honey” and observed “ The Badagas are like the Malabars and they do business with the Todas selling rice and buying from them butter made of buffaloes’ milk for which they find a market at Manarghat”. 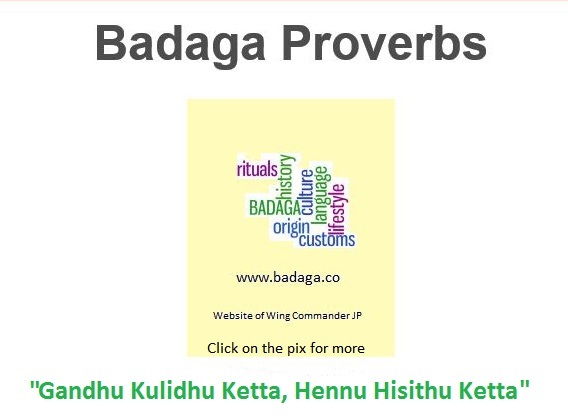 Badagas spoke Kannada and some Malabar, he wrote. There was no mention about any tribe coming from anywhere or how long they were on the hills. The next written record on Nilgiris was after nearly two centuries in 1812 by William Keys, Assistant Revenue Surveyor sent by Coimbatore Collector W. Garrows. The population of the hills as recorded by him was, ‘2516 individuals of which 1647 were Baddugars, 292 were Lingayats, 268 were Thoraiars, 179 were Todas and 130 were Kotas. 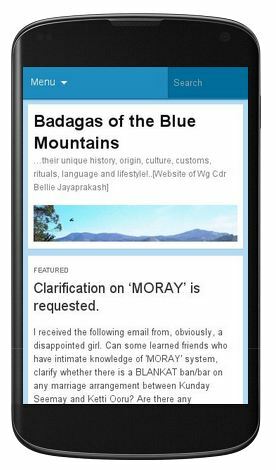 He was the first to mention that, “The Baddagurs, so called from their having settled on the mountains from the northward, speak the Cannady language and are the principal inhabitants as well as cultivators of the land”. It is not clear on what basis Keys made this statement. In any case, according to the “Historical Records of The Survey of India 1800-15”, “Keys and McMahon were the first surveyors to enter the Nilgiri hills, and it is not surprising that their training at the observatory had not qualified them to make much of a success of the hill features”. Keys also described the Nilgiri climate at “inhospitable” with the result Collector Garrows took no further interest in the hills. It was finally left to J.W.Breeks, the first Commissioner of Nilgiris, to make the distinction clear. Breeks distinguished the Todas, Kotas, Kurumbas and Irulas as “Jungle race” and documented them in his monumental work, “An Account of the Primitive Tribes and Monuments of the Nilgiris” in 1873. He categorically mentioned, “The Badagas cannot be called an aboriginal or a jungle race”. Breeks however, included as a Frontispiece, the now famous photo of Five Hill Tribes which included the Badagas. The authorities, should, therefore have no further reservations about depicting the cultures of all the Nilgiri people or tribes in the Resource Centre.